If you are looking for……. the first time, every time! 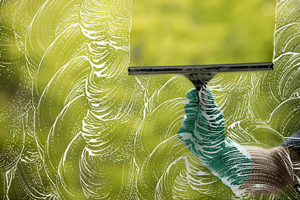 Whether you require a ‘one off’ spring clean, or a regular scheduled service, Cleana Windows is here to help! We offer a friendly and reliable service to suit you. We can clean your windows, from ground level up to two storeys, inside and out with minimal mess. Our expertise also stretches to cleaning screens too. Our special techniques will leave your windows dazzling, and all at an affordable price. Although Cleana Windows specialises in low level window cleaning, we also have the ability to clean windows at ANY HEIGHT without unattractive scaffolding! Our sister company Rope Access Solutions uses the highest qualified twin rope access technicians to access all those difficult to reach areas with the use of specialised techniques and equipment. So if you are looking for a skilled, experienced team, look no further! There really is nothing we can’t do. Whatever your requirements, Cleana Windows are here for your convenience. If you’re looking for a ‘one off’ freshen up or a scheduled repeat service, we can accommodate your requirements. Our staff use the best techniques to clean all windows up to two storeys - and at ANY HEIGHT with the help of out sister company Rope Access Solutions. If you want a great service at a reasonable price, contact us. 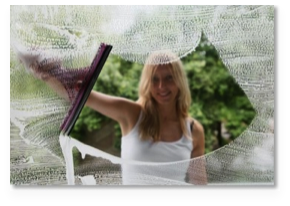 At Cleana Windows, we know how important sparkling clean windows are to the hospitality industry. We offer a discrete, minimal mess service for the convenience of you and your customers. This also means we can arrange to clean at the best times for you- maybe before opening hours for example. We have a host of shops and restaurants in the Townsville area which we clean professionally on a scheduled basis, whether it be weekly, fortnightly or monthly. Whatever type of service you are looking for, give is a call!